How do I meet people in Japan? You live in Japan and even though you have a few foreign friends at your job, you’re finding it hard to make genuine connections, especially Japanese people who you don’t feel many opportunities to talk with and practice your Japanese. 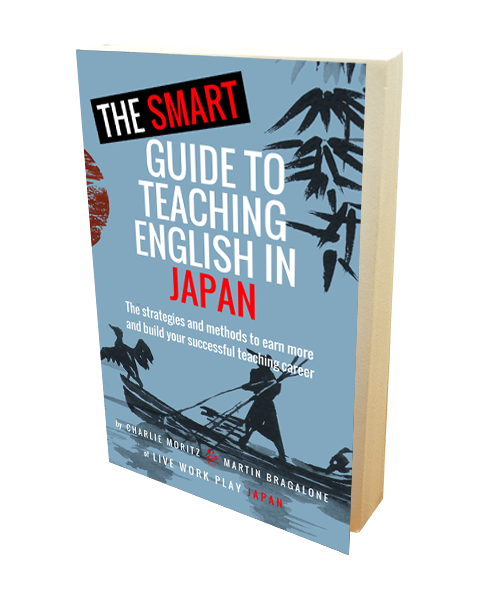 You have been in town for 6 months and you want more to do on your weekends, more friends and more chances to learn Japanese by talking with people in a relaxed setting, not just a class. It’s hard to find opportunities and you’re shy to approach people and just start talking to them without an introduction, so you end up not meeting that many new people on an average week. This was how I felt after living in Nagoya for nearly a year. I had been working at a junior high school and aside from a few close foreign friends I had met at a volunteer language class, I didn’t have many people that I could hang out with on a regular basis. I often spent my weekends by myself. We wrote about the struggles of making friends in Tokyo, but I wanted to expand upon that and tell you about how I became the centre of a community of Japanese people and expats from around the world, made lifelong connections and met my amazing girlfriend. When I changed jobs I decided that I wanted to make more friends and have a more active social life. I started a meetup.com group that changed my life in a big way. I called my meetup group the Nagoya Hangout – 名古屋しゃべり場, and within 2 months it was up to 500 members! Even the first event I hosted, a language-exchange at a coffee shop, was a huge success with 20 people coming and a 15-person waiting list for the limited space we had. The second meetup had nearly 40 people. 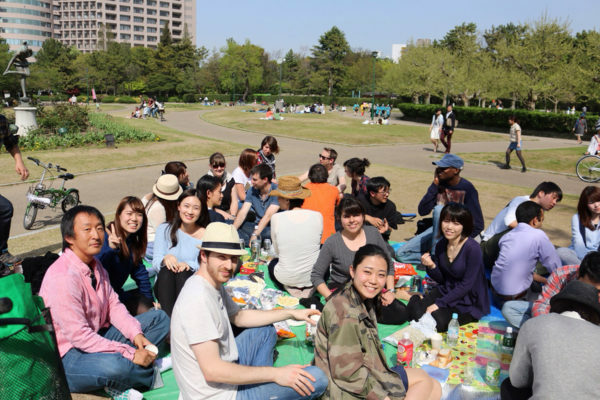 At the end of the summer we had over 50 people come to an impromptu picnic in Tsuruma Koen. Can you imagine how exciting this was? Suddenly I was the centre of a community of Japanese speakers and foreigners alike! The first meetup at a coffee shop was a big success! The first trick to this was making the group totally free to join and participate in. Some groups charge a rate, like the other language exchange group that had already been formed in Nagoya before I made mine. However, when I spoke to the organiser they refused to consider dropping their 500￥ participation fee, which I thought was ludicrous for a simple language exchange at a coffee shop. That’s why my group was almost always full at 20-30 members for each event, and the others had maybe half that. I wanted it to be 100% free for all members to come to all events, because that’s the kind of group that I’d want to be in (open and welcoming to everyone). Even if you wanted to make money from a meetup group (totally possible, but not my goal) you should still make it free to start. That way people will come along even if they are nervous and not sure if it is going to work for them. If it doesn’t, the only cost is travel and a cup of coffee. The members were affectionately referred to as “scallywags”, which was a name that my sister called me on the phone while I was trying to come up with ideas for the group. I’m pretty sure most of the Japanese people in the group have no idea what a scallywag is. I’m not even sure myself, but the name stuck and the foreign members liked it. And the major benefit was: not only was I able to go to an active and popular language exchange meetup, but I was also the first person every member came to to introduce themselves. I was the organiser. The boss, if you like. Everyone wanted to meet me and thank me for creating a group that they all enjoyed. Suddenly a lot of people wanted to be my friends. It was always super relaxed and accepting of new people. In fact, when the meetup.com renewal fees came up I asked at one event if anyone would be willing to donate to help keep the group going for free, and people were happy to contribute more than enough to keep the group going for as long as we wanted. Hosting a meetup is actually super cheap, only about 500￥ a month. This gave me a lot of confidence and happiness, and I spent quite some of my free time finding events for us to go to, other cool coffee shops that could fit more people and hanging out with members-come-friends in my spare time. I learned a great deal from managing an organisation like this, and started to feel so much more comfortable being in charge of something. I think you really have to do this kind of thing if you want to gain confidence not only as an event organiser but in all kinds of fields. Definitely a life skill that I’m glad I had the opportunity to develop. Not only did I have my my own successes, but actually a few months ago I got some great news. Two friends from one of the very first meetup events told me that they were engaged! Incredible, right? I feel such huge joy when I think about my friends meeting the love of their life at my meetup group. What kind of group should I start? That’s the beauty of this platform: you can make any kind of group you like. Mine was a language exchange because I wanted to improve my Japanese ability, but if your passions lie elsewhere just start the group and see where it leads. At the very least you can meet some like-minded people, and in the better case scenario you could meet people who will be your close friends for life, meet a future spouse and learn a lot with your group. Lots of people came to an impromptu picnic in the park with my meetup in Nagoya. Now if you’re concerned and you don’t know what you would do as an organiser, that’s alright. Just going to a meetup event and being a regular will help you make some friends and figure out how you would do it differently at your group. In my opinion, though, being the organiser is a much better opportunity not only to meet people but to improve your confidence and skills. 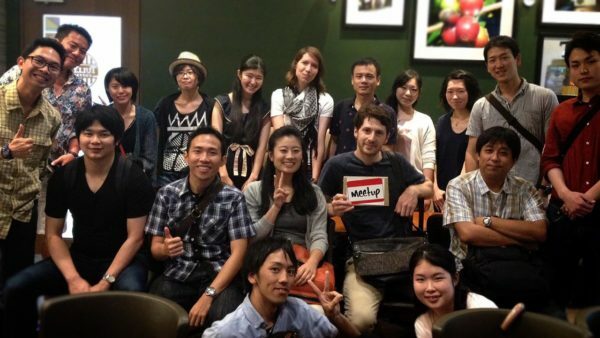 I’m sure most of you know meetup.com and have experience with it back where you are from, but until recently in Japan it wasn’t so well known with Japanese people. This has all changed since October last year when Meetup made their website available in Japanese. 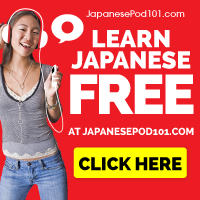 Now if you want to meet more Japanese people and practice your Japanese speaking in a group based on your interests and not just a language exchange, it will be even easier than before. So what are you waiting for? Get out there and meet some people! Have you been to any great meetup groups here in Japan? Did you start your own? We want to hear from you!